It has been more than ten years since The Da Vinci Code was released, the popular movie based on Dan Brown’s novel, which revolved around a mysterious murder. A few years later, Tom Hanks starred in its sequel, which also proved to be a great movie, and now nearly eight years after the sequel, another movie pops up, with a slightly more aged Tom Hanks. Inferno revolves around a virus that might kill half of Earth’s population, and Dr. Robert Langdon might just be the only person who can save us from this pandemic. The movie starts off with billionaire Bertrand Zobrist (Ben Foster) giving a speech on how the growth in human population is slowly killing our species, and how we are pretty much the filth that is destroying this world. He comes up with a plan, where a virus will be released that destroys half of our Earth’s population, which would save our species, as he believes we’d go extinct in a hundred years if we don’t do this ‘culling’. When his plan gets out in the open, he is a hunted man, and before he is captured, he jumps off a tower to his mushy death, as he believes he will become our planet’s savior, and that his life is only one of the many that should be sacrified. Robert Langdon (Tom Hanks) finds himself waking up in an Italian hospital, not remembering why he is in Italy in the first place, with no recollection of the past few days, he is greeted by Dr. Sienna Brooks (Felicity Jones), who is tending to his wounds. That being said, there is no time to spare as all of a sudden a ‘police officer’ shows up trying to shoot him, making him and Sienna decide to make a run for it. 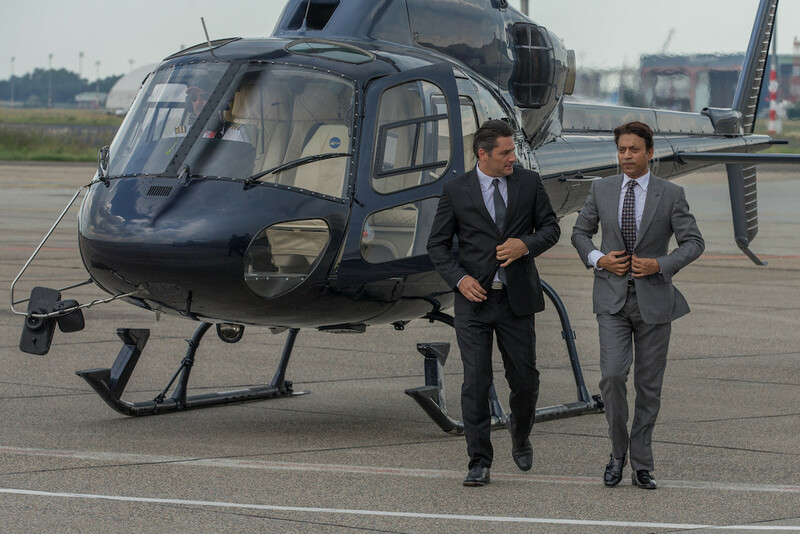 Sienna, wanting to call the police, decides to wait until Langdon is able to change his clothes, and freshen up, to which they decide to call the American consulate instead. Nonetheless, things take yet another turn for the bizarre when the World Health Organization turns up, armed to the teeth, and a bit further away, the initial agent that tried to kill him is also present. Once again they make a run for it, but during their short get-together, Robert discovered a small projector in his pockets, one that depicts a picture based on Dante Alighieri’s divine comedy, where the different circles of hell are shown, in a skewed order, with letter clues hither and thither. Soon they find out it’s a puzzle Betrand Zobrist has left for them, but the reason why is still a mystery. It will become a race against time to either solve the puzzle to get answers, or to simply prevent a mass pandemic from happening. The film moves at a rather steady base after the proper setting is painted, as the chase for uncovering Zobrist’s riddle is immediately on after Langdon leaves the hospital. You’ll be treated to a significant amount of action, interesting puzzles and mysteries and of course the necessary information to properly process what is going on. Compared to the previous two films, this one has the pacing of an action movie, while still staying true to its mysterious topic, rather than a slow moving detective story. Truth be told, we loved this change of the flow for this third installment of the series. While this movie has a superb cast backing it up, it’s Tom Hanks’ and Felicity Jones’ duet that propels this movie forward into an exciting and intense experience from start to finish. Both play their roles convincingly, ranging from Langdon’s memory loss at the beginning of the movie all the way to Brooks’ odd personality due to her high intelligence. Overall all acting performances are rather grand, and there is simply nothing to complain concerning this part of the movie. The Blu-ray edition of Inferno comes with a hefty amount of extras, something Sony always embeds on their releases. You’ll get the standardized items like previews of other movies, deleted and extended scenes and so on. 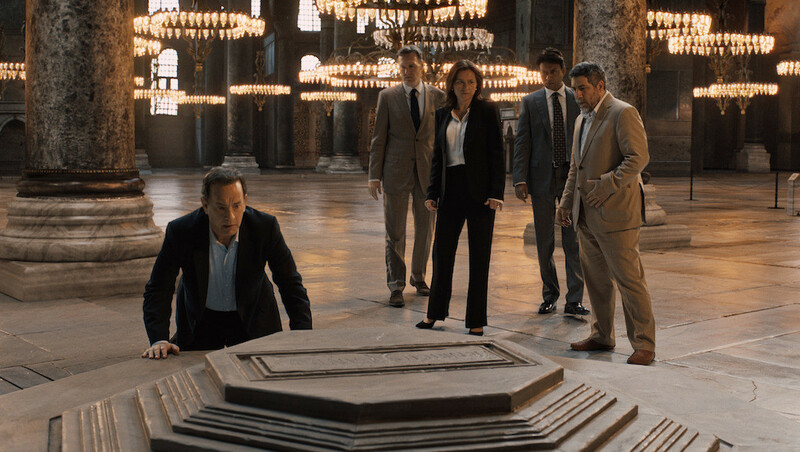 Other than that, there are some in-depth featurettes revolving around Robert Langdon, Sienna Brooks and the villainous Bertrand Zobrist. Other special features include Ron Howard’s Director’s journal and the visualization and concept of Langdon’s strange visions at the beginning of the movie. The latter proved to be quite interesting. 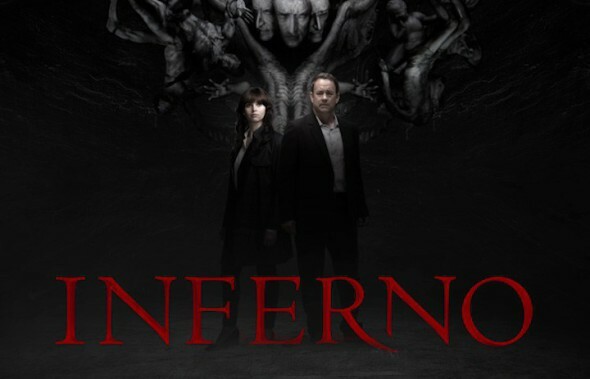 Initially we assumed that Inferno would be a futile attempt to grab some cash by reviving the series, but in the end it proved to be a true delight, that pays a proper homage to the first movie, and when it comes to pacing, even transcends said film. You’ll be treated to a movie filled with suspense, mystery, great characters and an interesting storyline that might actually not sound too absurd when looking at our decaying world.